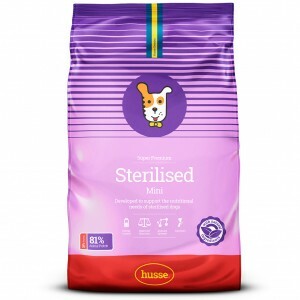 Sterilised Mini is a complete food for neutered/sterilised adult dogs of smaller breeds over 12 months old. It is specially formulated to combine a restricted energy level, with a high protein content and L-carnitine to aid the metabolism of fats. This Super Premium food based on chicken provides complete nutrition and weight management. With an optimal balance of protein and fat, this food will help to ensure your dog stays in shape whilst looking and feeling great. Carefully selected ingredients with high nutritional content but less fat. Rich in fibre, promotes satiation with less calories. 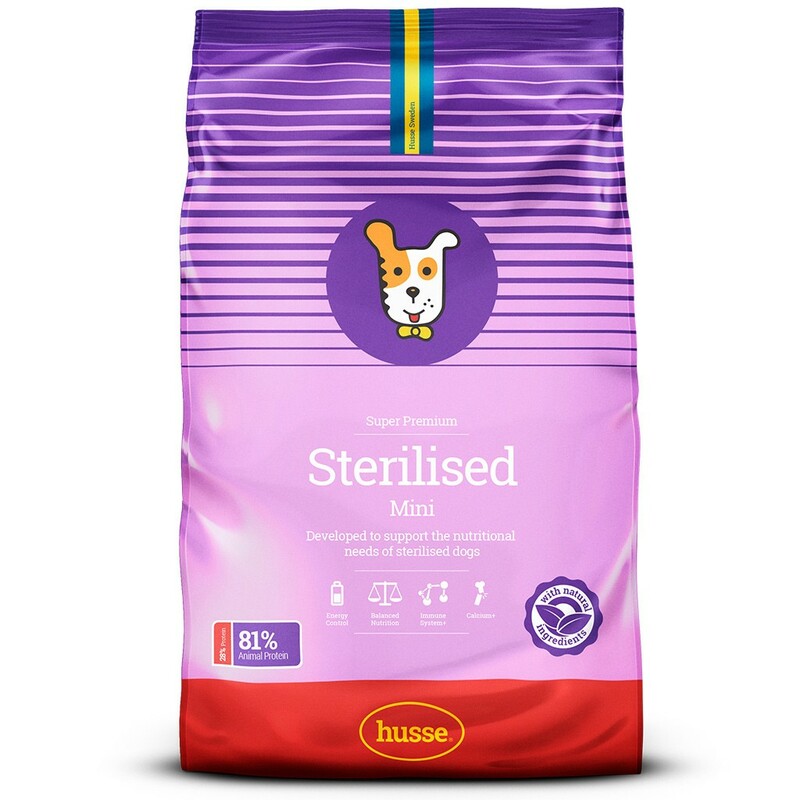 Feed Sterilised Mini to lose weight or to maintain weight in sterilised dogs, see feeding advice for recommended quantities. Supplemented with L-carnitine, a kind of vitamin regulating the breakdown of fats in the body cell. Contains fructo-oligosaccharides which favour ‘good’ bacteria in the gut and promote intestinal health. Rich in vegetable fibres to stimulate intestinal motility. Also, improves stool consistency. Enriched with Vitamins A, C and E which support the immune system. Beta-carotene and Tagetes extract, a valuable source of lutein, two natural plant carotenoids which have an anti-oxidant activity in the body cells. With high quality salmon oil that is a valuable source of Omega-3. With copper to stimulate enzymes which help maintain colour of coat. chicken, maize, rice, wheat, vegetable fibres, animal fat, linseed, minerals, salmon, hydrolysed animal protein, brewers' yeast, salmon oil, fructo-oligosaccharides (0.3%), dried whole eggs, lecithin, sea algae, Tagetes. protein 28.0% (81% animal protein of total protein content), fat content 11.0%,crude ash 6.5%, crude fibre 5.0%, calcium 0.8%, phosphorus 0.7%, magnesium 0.09%, omega-3 fatty acids 0.9%,omega-6 fatty acids 1.3%.